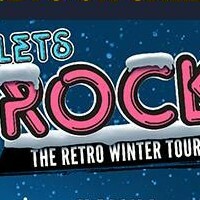 The Let’s Rock Retro Winter Tour will call at arenas across the UK later this year. Taking over Nottingham’s Motorpoint Arena, Glasgow’s SSE Hydro and the SSE Arena Wembley between November 29 and December 13, the Let’s Rock Tour features headliners Tony Hadley, Marc Almond, Jimmy Somerville and Nik Kershaw, though ABC replace Jimmy Somerville for the Glasgow stop. All dates will see support from Boney M, Altered Images, Toyah, Sonia, Then Jerico, Bow Wow Wow’s Annabella, Peter Coyle from Lotus Eaters, and Dr and the Medics. Tickets are on sale now, priced from £39.00 plus fees. 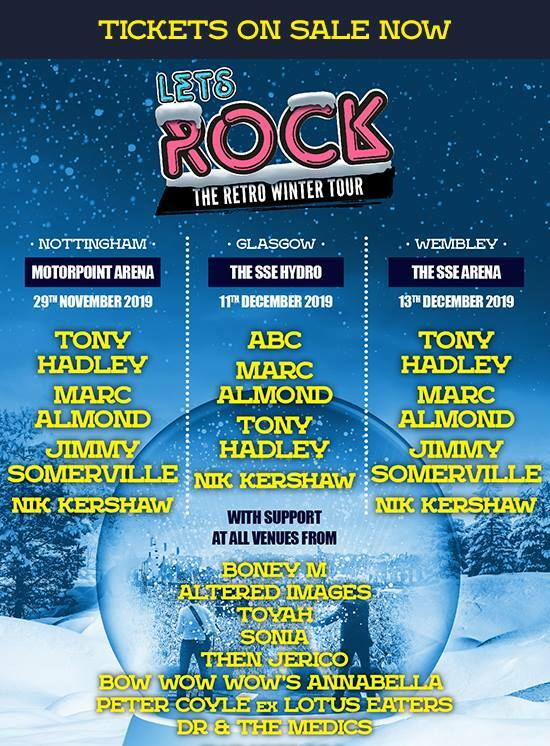 Click here to compare & buy Lets Rock The Retro Winter Tour Tickets at Stereoboard.com.